We passed through Nyoma, which is nothing a small village primarily the army settlement and recently was in news for Jawans and Seniors clash, we clicked few pictures and moved on. 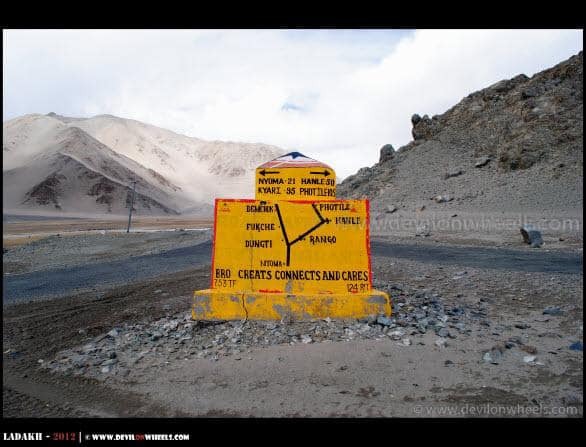 Another 30 minutes and we were at Loma, where the is a checkpost and one have to submit the permits there before moving ahead either towards Tsaga – Chusul – Pangong Tso route or want to go to Hanle. In both cases, permits need to be submitted at Loma checkpost. Again, army is extremely strict here and you cannot take the picture of any bridge including the Loma bridge. 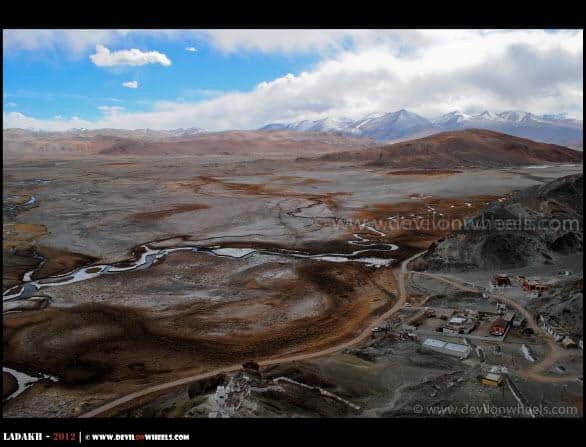 In fact, norms are such strict that there is no off-roading allowed in side whole of Changthang and is primarily on of the violations most people make, which lets DC office stop issuing the permits. 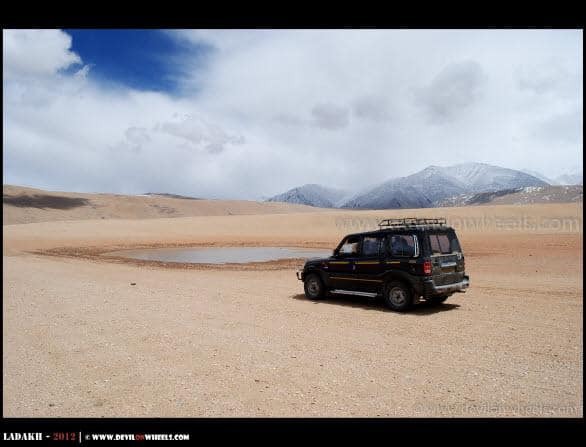 Any ways back to story, we submitted the permits and didn’t dare to get out of the car due to some scary dogs watching at us 🙂 … We submitted the permits and moved into the interiors of the cold desert towards Hanle. As we moved in, the vistas were becoming more and more beautiful, some of the mountains looked like pyramids of Egypt… The natural light play over the peaks was as majestic as the freshly laid roads. 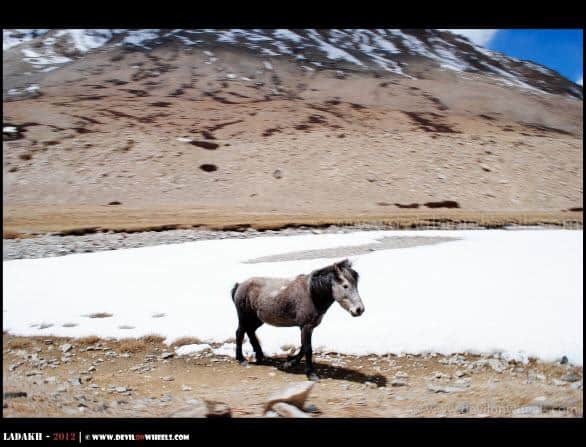 Finally, what I was looking for “Kiangs – The Tibetan Wild Asses”, who are pretty shy by nature and mostly feed upon the rarest of vegetation found in this harsh terrain. 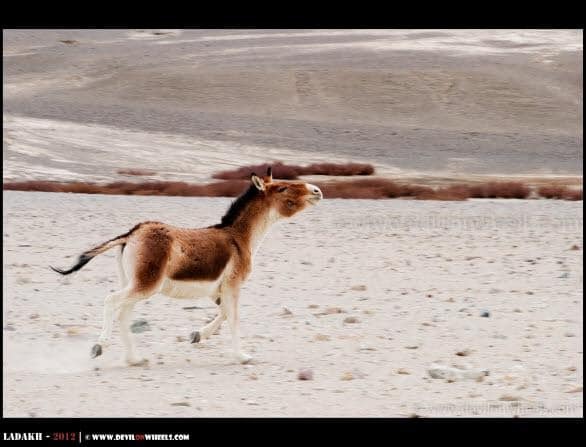 Kiangs are mostly found in Changthang region of Ladakh and Moore Plains at Manali – Leh Highway. 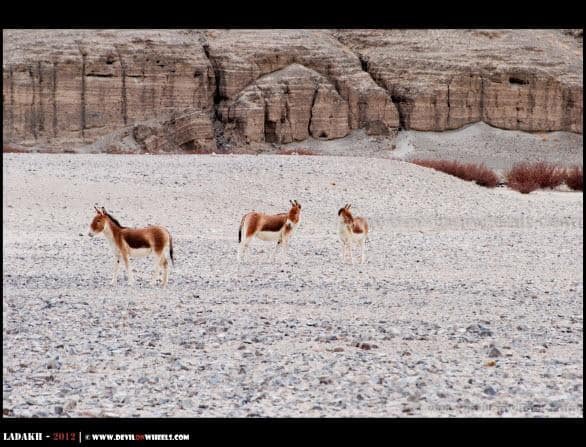 They are extremely shy and runs away on blink of your eyes but nice to watch and shoot them. As soon as we saw, the Nikkor 70-300 came out of the bag and clicked few distant shots of them, all thanks to the Nikkor 70-300 to get those shots. We didn’t found a single person en-route so far and were traveling all alone. 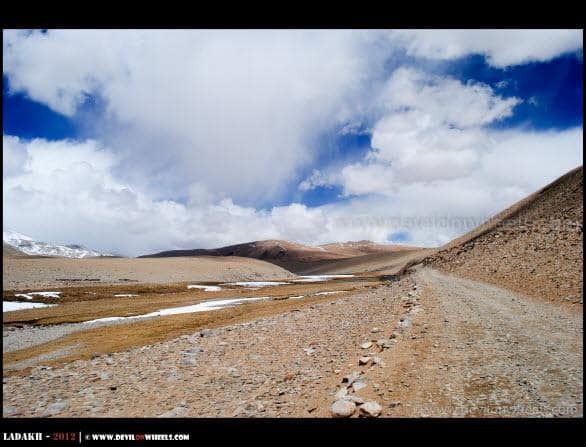 Around 15.15 PM we finally reached Hanle by passing the road that leads you to Photi La, soon to be the Highest Motorable Road in India. 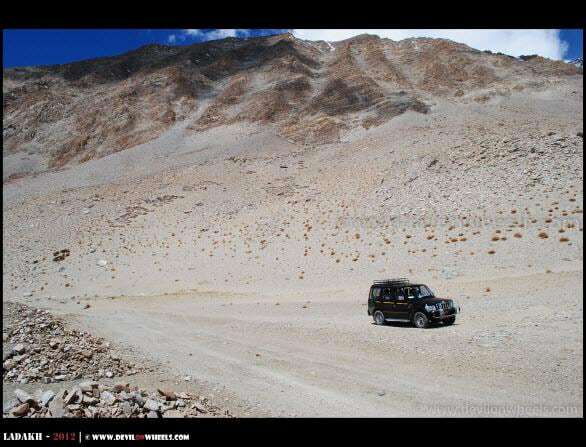 Photi La is about 18,130 odd feet by GPS and would ideally become of the highest one leaving behind Khardung La whose actual GPS height is about 17580 feet only. 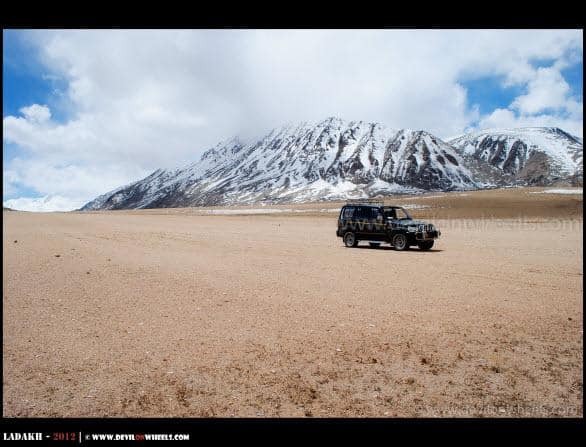 Semo La in Tibet (5565 m or 18,253 feet) is presently the Highest Motorable road of the World. 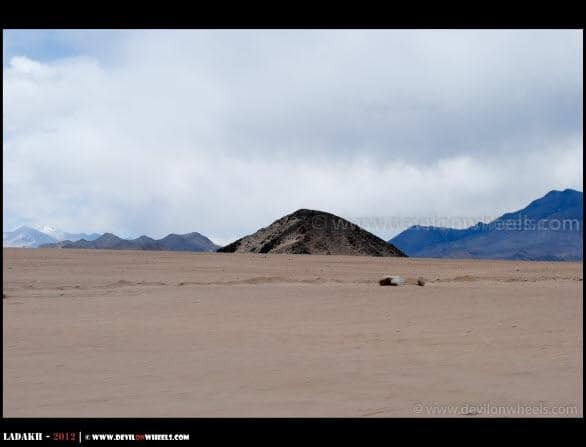 A Pyramid in Changthang ??? 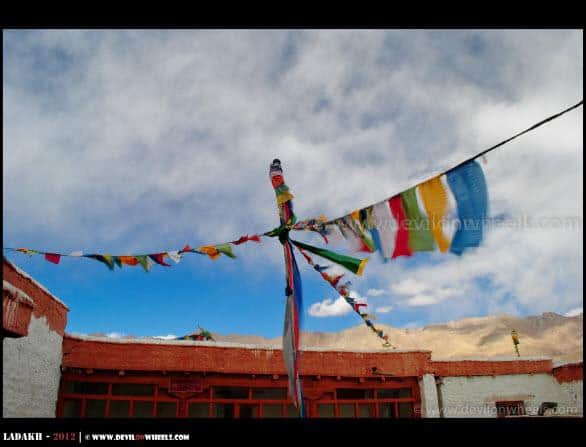 Hanle has a lovely Hanle Monastery offering some great aerial views of whole village that is a home of about 1000 people. The views from the top of monastery are just breath-taking. Even after hearing some scary stories of ghosts and all we decided to pay visit to this lovely monastery. 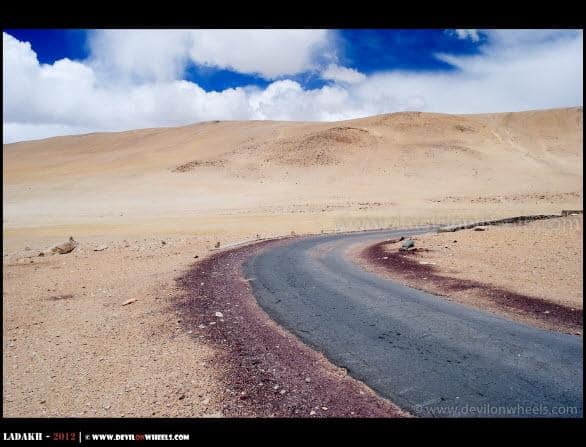 It was too cold out and the approach road to monastery top was with full of loose gravel and rough. 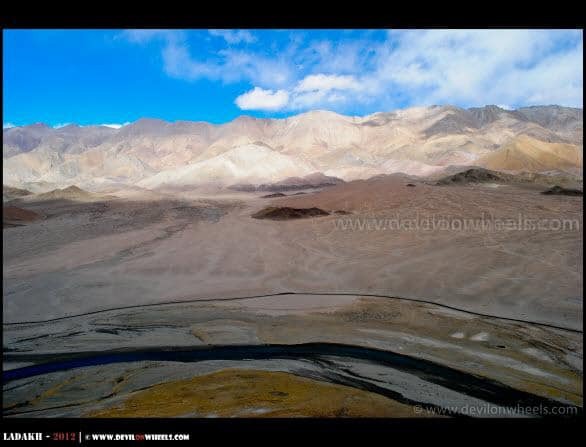 We were anyhow very much excited, took so many pictures of the mind-blowing backdrop (the way we cam from) and the front Aerial views of the Hanle village. 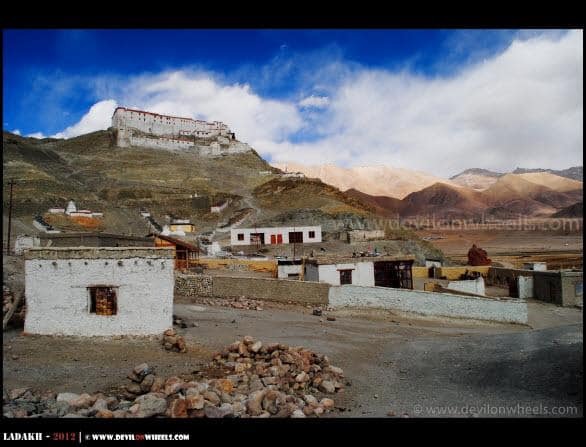 The monk of the monastery came rushing on the pulsar, to let us see the inside of the monastery. We offered prayers, took so many pictures from the terrace and went towards monastery. 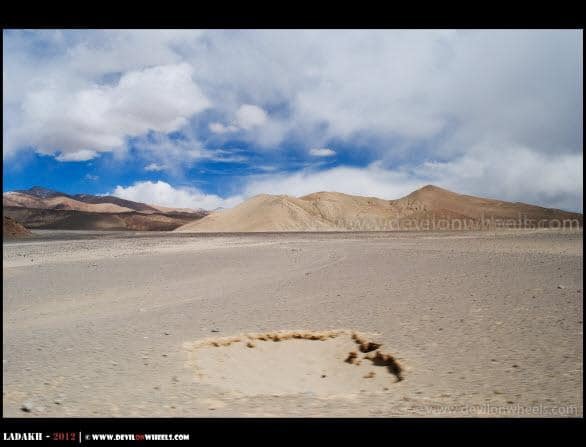 A High Jump from Hanle Monastery ??? 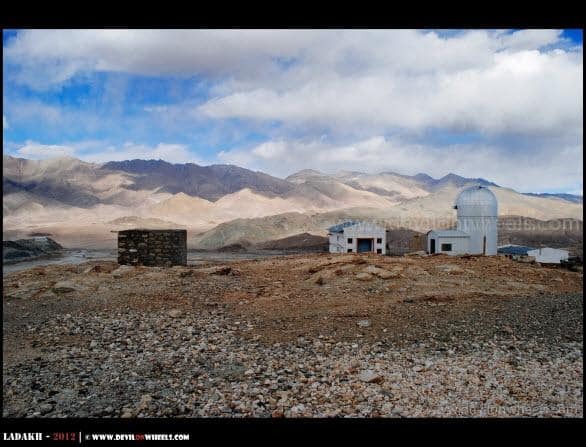 Hanle also houses an Indian Astronomical Observatory which is the world’s highest observatory in the world at a staggering height of 4500 Mtrs. 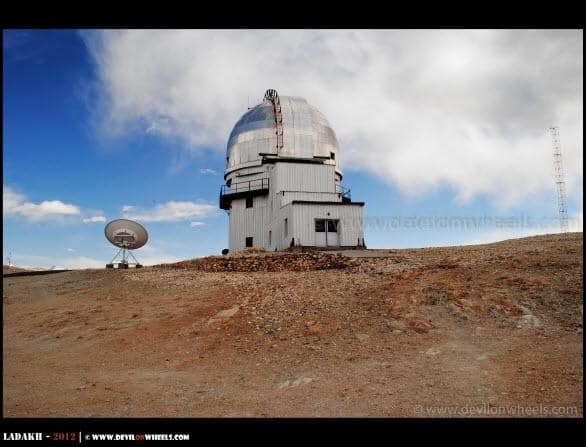 The Hanle Observatory is operated by Indian Institute of Astrophysics, Bengaluru and has currently the currently the second highest optical telescope in the world, about 2.01 meters (6.5 feet) diameter. As we reached the top, wind was blowing with such force that we kept feeling of being blown away 😀 … Some how, gasping for breath we managed to reach the top from parking lot and went in to see the telescope. Reading starts at around 5.30 PM every evening and if you like can see how the telescope opens and starts reading the sky and witness its monster size. We were unlucky as the sky was not clear that day and control was taken by Bengaluru office. But, they offered to see us the vide recording in which we were not that much interested. We had the bookings for the Observatory guest house but was for next day and they did not took our request to manage it a day prior 🙁 … So, after some more pictures, outside and around, we went down to Khaldo Village at the foothill and started search for accommodation. 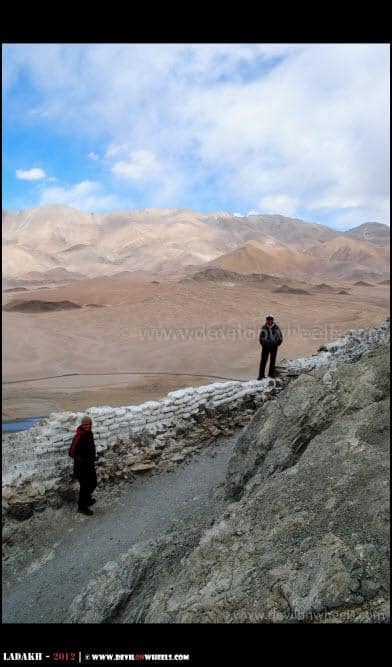 There is Hanle observatory guest house which is the only decent accommodation available at Hanle. For bookings, you have to write to the Director, Indian Institute of Astrophysics at Bengaluru. If he agrees for the booking and approve your request then you can stay there but no alterations in the date would be entertained and hence, you will have to reach the same day when it has been booked. The homestay is at village Khaldo very very close to observatory. One homestay is near the start of the village and has a landline phone. Ask locals about homestay which has phone. The rooms are decent but the prices are hay-way as the owner is greedy types. There is one more homestay at the end of this village just before pasture land starts which is run by a lady named Padmadeskit (ask for this name). We stayed at this only and found it OK to stay. Do not expect too much out of a homestay. This one is more loyal to tourists as other one charge too much if he sees more tourists. Rigzin was all that helpful in search the accommodation for us at Padmadeskit. We placed our baggage in the room and had cup of tea with biscuits. She also runs a shop in side the house as general store. As the evening set in, the coldness started to increase and we decided to have a long walk up to the grazing pasture lands at the back side of the guest house. 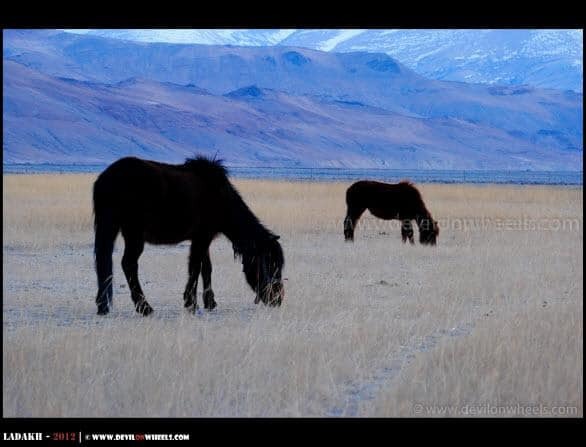 So, many horses were grazing out there and it purely looked magical. After some pictures we were back to our room. It was getting colder and colder, so came up the layer of one more woollens. The toilet was outside the house and was ladakhi style dry pit, so we decided to use it as the last light of the day was left. After some rest it was time for the dinner and thankfully electricity came up which allowed us to eat in light and get our mobile/camera batteries charged up. The room where dinner was served had a bukhari running that kept the room very much warm and let us have the tasty dinner cooked by the lady. But, sitting in the bukhari room got us warm and once we came out, it was so cold that sudden change in temperatures got us shivering. Without wasting a second, we immediately went into the double quilts and after a while shivering settled to let us peacefully sleep for the rest of night with dazzling dreams of the day 🙂 !! 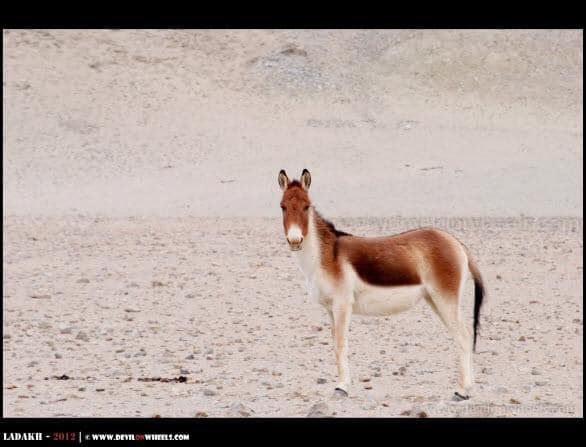 Hi Dheeraj, I could not find any previous queries on your site, so please help me. 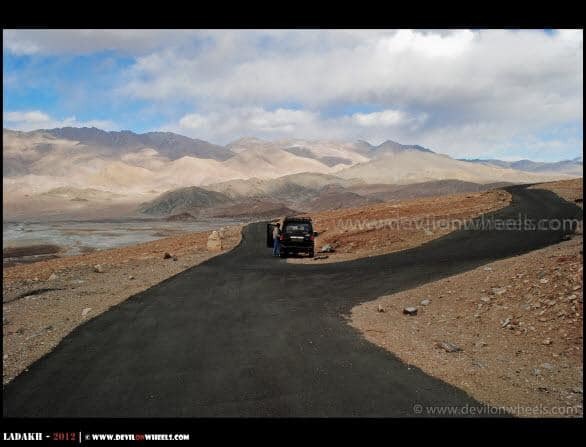 Hi Dheeraj, I am little confuse regarding trip to Hanle because of permit issue. 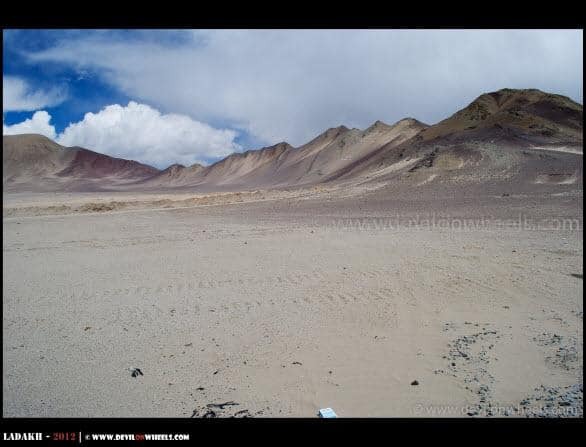 But yesterday I had a chat with Rigzin, he told me it is possible to go Hanle by following route- Chumathang-Mahe-Loma-Hanle-Loma-Mahe-Tsomoriri. I desperately need your suggestion. 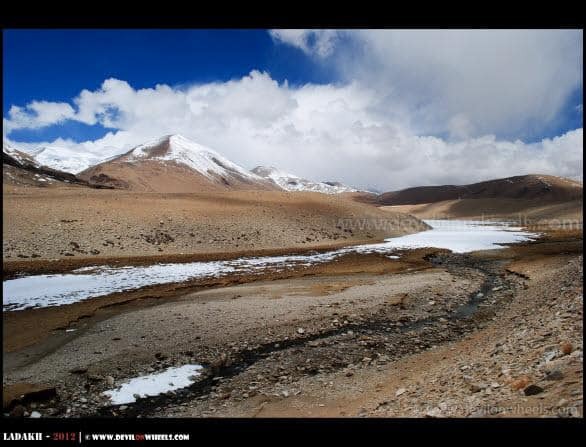 O yes, that is what I am saying as well that you can visit the route in this direction but you need permits to by pass/reach Tso Moriri, Nyoma, Loma and Hanle. 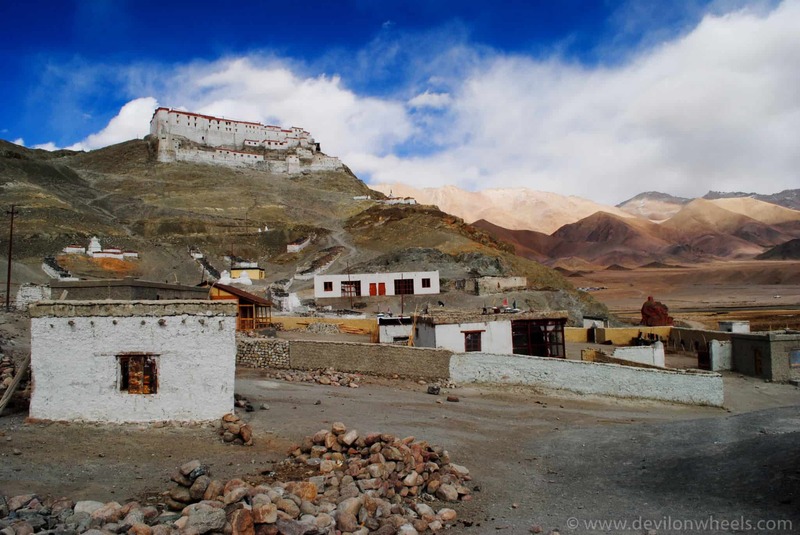 If you have these permits with you, then you can surely visit this region. Rigzin might be thinking that you will have the permits made yourself and might not be aware that DC office is not issuing the permits now. Request him, if he can help you guys get the permits from the DC office. Sorry, for the delay Swapnil!! But, for sure you will be able to read the next part on Monday morning. My son wasn’t well in the last week or so, so could not get time to write the article 🙁 … But, now m planning to write 2 article over a weekend so that if I miss one week, the article at least is there not breaking the rhythm of the story. 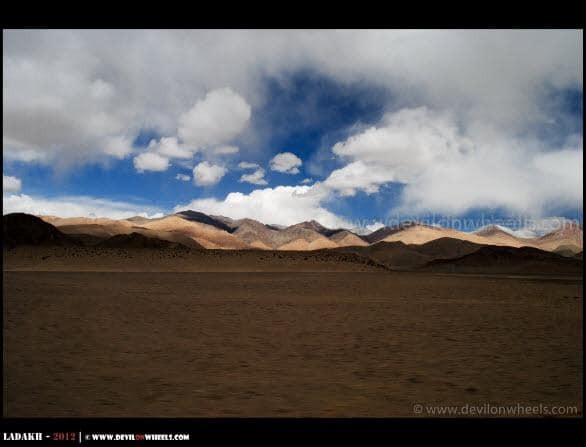 Hi Dheeraj, is it possible to go Hanle via Chumathang-Mahe-Loma. Then what is the procedure to gate permit. Yes, it is possible but like I said I do not think permits are still being issued. The procedure to get the permits is same, you will just need to mention then Loma, Nyoma and Hanle along with other places you need to travel. Sure, Ajinkya. I did try his number overweekend but could not get connected, thinks he is on some trip. Will try for another few days and weekend. 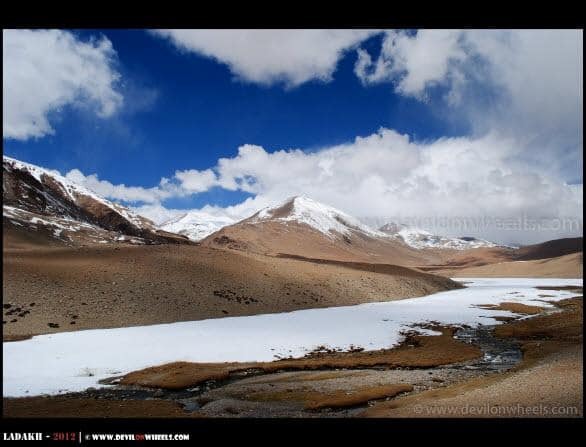 i will be travelling to pangong and from there plan to take chusul,loma nyoma,chamthang route for tsomoriri and will stay tsomoriri for a night before leaving for manali can you please suggest where can i add hanle into it??? 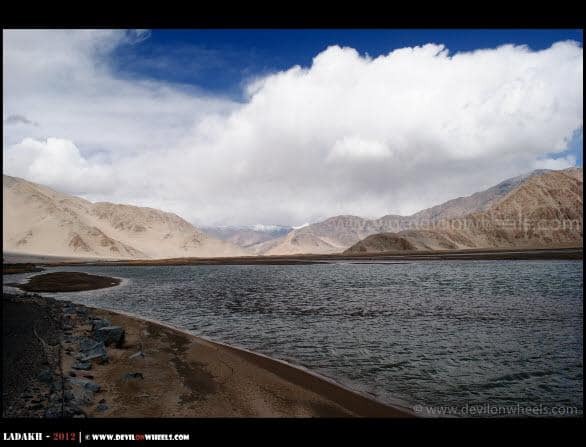 It is done like: Pangong Tso – Man – Merak – Chusul – Tsaga – Loma – Hanle and then Hanle – Loma – Nyoma – Mahe – Sumdo – Tso Moriri. 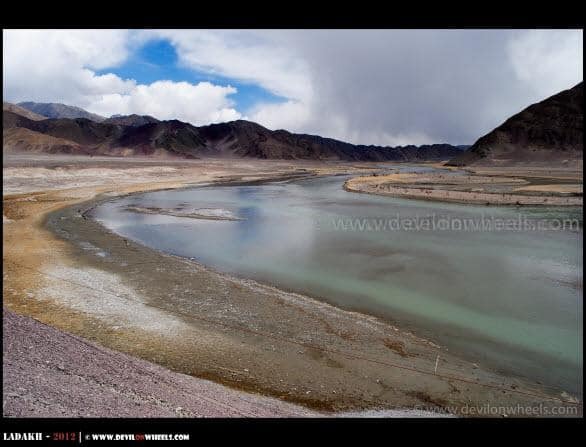 Unfortunately, the permits to Man – Merak – Chusul or remote Changthang routes including Marsimik La and Wari La are still not being given by DC office in Leh, so keep your fingers crossed and hope for the best if they start issuing the permits by the time you visit. Otherwise, you have to take the traditional routes only. 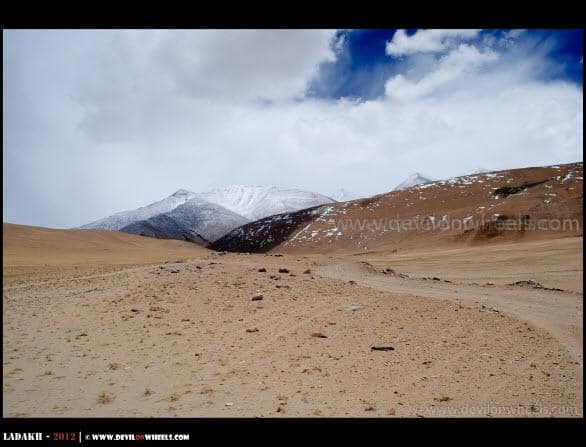 Can i complete pangong to hanle and hanle to tsomoriri in one day?? ?or that will be tooo difficult?A Big thanks for all your replies!!! Nopes, Kunal. You cannot!! 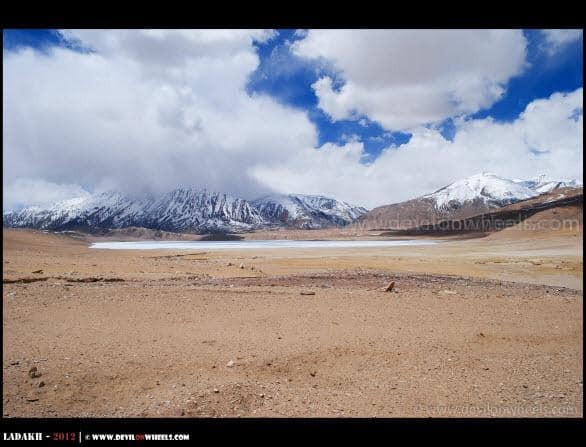 Pangong Tso to Tso Moriri direct is quite tough and arduous and another 100 KMs would be almost impossible to let you enjoy anything left for the day. Hi dheeraj! lucky chap got permit for chushul & tsaga, i tried for it this year, requested each & every person in DC office but at the end it was a futile effort. How come you people so easily get permits for these areas. O yes, we were lucky enough to get the permits for this circuit without much hassle. Actually, the issue is these permits are issued when the situation at LAC is very much normal and the tourist influx is less, so that the large number of people visiting this region do not make any nuisance. 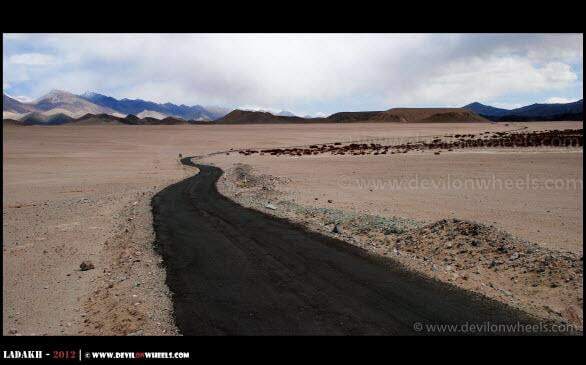 This year, they went too strict because I read somewhere that some idiot bikers have created such nuisances across the LAC near Chusul, due to this very reason there is more strictness and permits are not being issued for Wari La and Marsimik La as well along with Loma – Chusul – Merak route. I hope this helps. Let me know incase you have any queries. A wonderful set of photographs. It gives us a kind of getting to know the place feeling. Beautiful captures. Thanks alot Pattu, it is pleasure to share such wonderful places to all the fellow travelers and try best to provide enough details so that they could undertake the trip themselves and travel with a difference too 🙂 … Glad you liked the pictures as well, the place itself is such wonderful!! 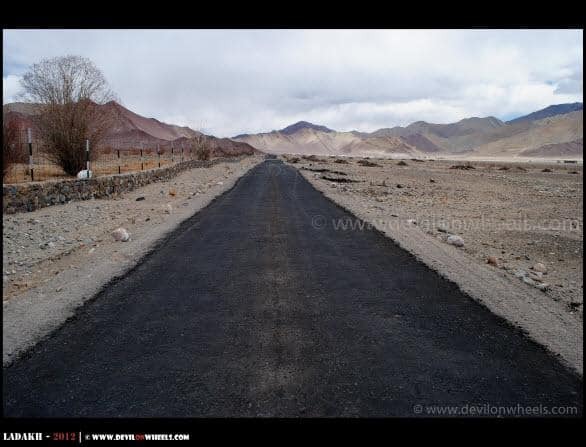 Hi Dheeraj, any good news regarding permit for this route. Beautiful captures & very helpful info for that route. thanks alot Chandra glad you loved the log and pictures. Did you finalize on the itinerary, I couldn't see you reply back? 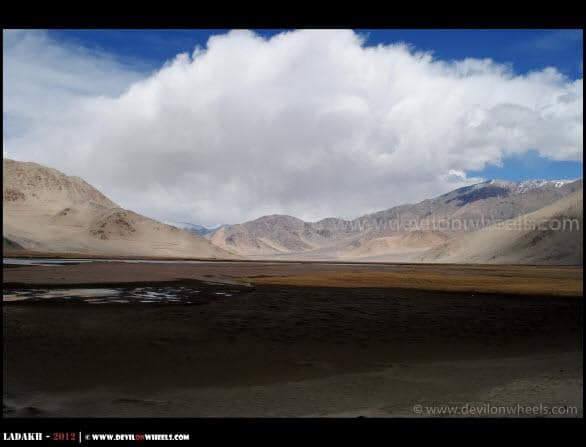 Dheeraj,can you add phone no of Hanle homstay you stayed in.It would be of much help.BTW,impressive writeup and nice visuals. Thanks alot. I do not think buddy that cellphone worked in Hanle and if at all, that lady didn't have any contact. So, it is difficult to pre-book and you have to try your luck.For the other person homestay I have this: 08991922047(DSPT) — Landline number which may not work when power isn't there. 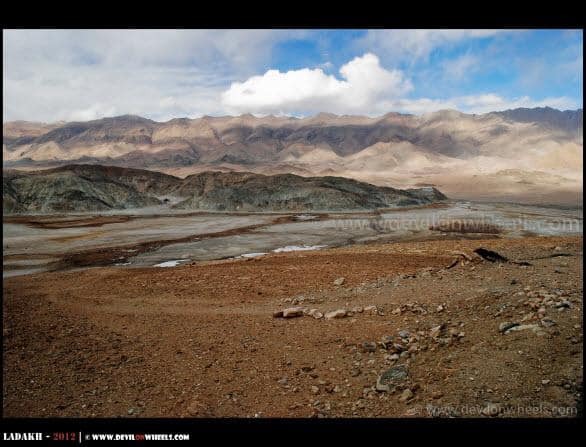 And, 09622997003 – Cell Number of Mr. Katak (owner) but this might work only when he is in Leh. dheeraj bhai aap to wikipedia ho on leh . nice trip log & as usual superb pic . how u got the bookings for guest house .is it open for public ? Looks like you stayed in the same homestay as I did! They also have a sat phone booth, isn't it? Fantastic photography and good writing work.